The winter is easily my least favorite season. It is very difficult to be outside for a long period of time when the temperature is approaching 0 F, as it often is in Iowa during the winter. You can put on a lot of clothes and do okay out there, but you’ve eliminated the possibility of doing anything that requires significant agility. But spring, oh, the glorious spring. One of the first things I do when the weather starts to turn warmer in March is get out my bicycle, oil up the chains a bit, air up the bicycle tires, and go for a ride. I’ve had this bike for a dozen years now and I expect to have it for at least a dozen more. I’ll be wearing a backpack with some mail in it that needs to be mailed at the post office. I’ll stop by the small general store in our town if I need anything. I’ll ride out near the new construction in town just to see what’s going on. I’ll get home, finding my legs just a bit sore and my lungs full of fresh air. Considering that I also usually spend that first really nice day mixing compost into the garden and playing soccer in the yard with the kids, the combination of fresh air and lots of exercise leads me straight into a deep and refreshing night of sleep. I get exercise, I got fresh air, I got some errands completed, and it costs me virtually nothing. It’s something that I try to repeat as often as possible during the months of pleasant weather. The thing to notice here is that I’m not using my car to get to the post office or the general store. I’m using my bicycle. Rather than using gas and putting more mileage on my vehicle (contributing to depreciation and maintenance), I’m simply using my trusty old bicycle to get the job done. To make a trip to the post office and the store is just shy of three miles, round trip, on the roads. I could do the driving portion of that trip in about eight or nine minutes (the speed limit is about 35, after all, and there are several stop signs I have to go through, and there are always things like pedestrians and bicyclists and other cars that further reduce my speed). On my bicycle, the distance of the full round trip is about a mile and a half, because I can cut through a park and also utilize a trail that connects a street to the lot on the back side of the post office. I can do this round trip in … about ten minutes. So, I save about a minute using the car. However, every mile I drive in that car costs me at least $0.50 in fuel, depreciation, and maintenance, giving me a total of $1.50 for the trip. Add in the fact that the bicycle trip gives me some moderate aerobic exercise (improving my health and my life span) and the bicycle trip is an enormous win. What’s the message here? It’s simple. Use a bicycle instead of a car for short trips. If you’re just going a mile or two from your home, bicycle there and back, provided the weather is good. 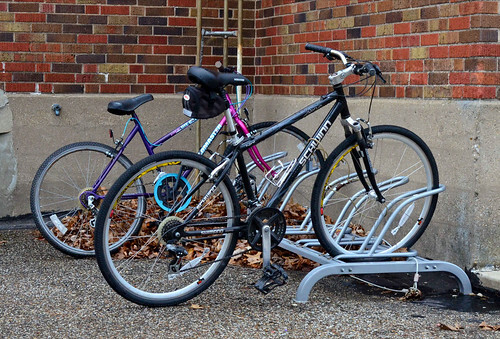 Used bicycles can be found at very low rates if you look around and the maintenance cost of a bike is nonexistent. Meanwhile, every mile you drive in a car eats up $0.50 and does nothing to help your health.